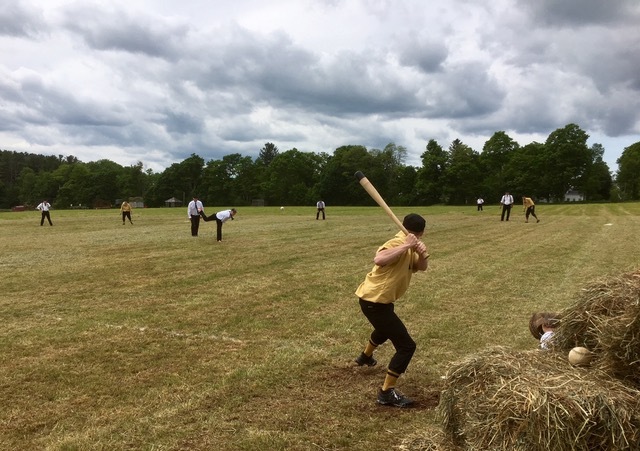 On Sunday, Oct 7th at 10am on the upper field, the Bovina Dairymen and Mountain Athletic Club of Fleischmanns will close out their 2018 seasons with a friendly morning match of 1864 base ball at the Taste of the Catskills. 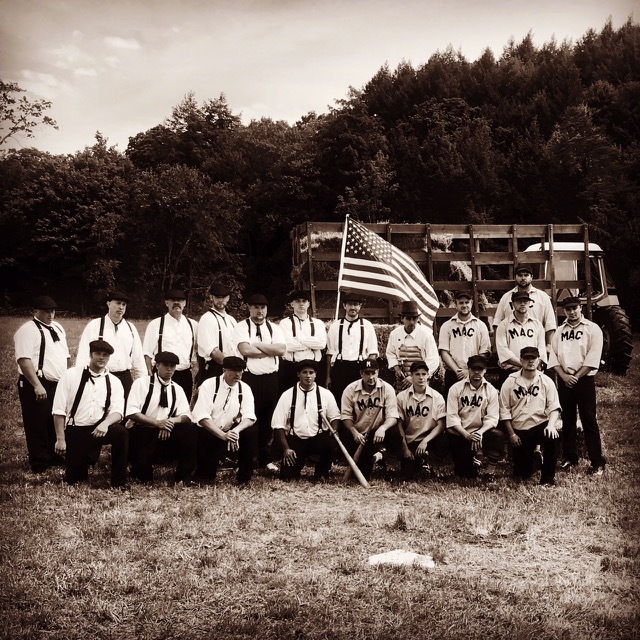 The Delaware County vintage base ball clubs have renewed the national pastime in the County and have once again become formidable opponents. In their last three meetings this season, each game was decided by only one run. Following a the game, members of the crowd young and old are encouraged to join in the fun until they kick us out. Come help us celebrate an autumn game of base on the farm.